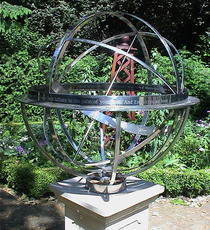 Presented by the sixth Duke of Westminster to the users of Belgrave Square Garden to mark the start of the third millennium. The poetry is from "Auguries of Innocence" by William Blake. 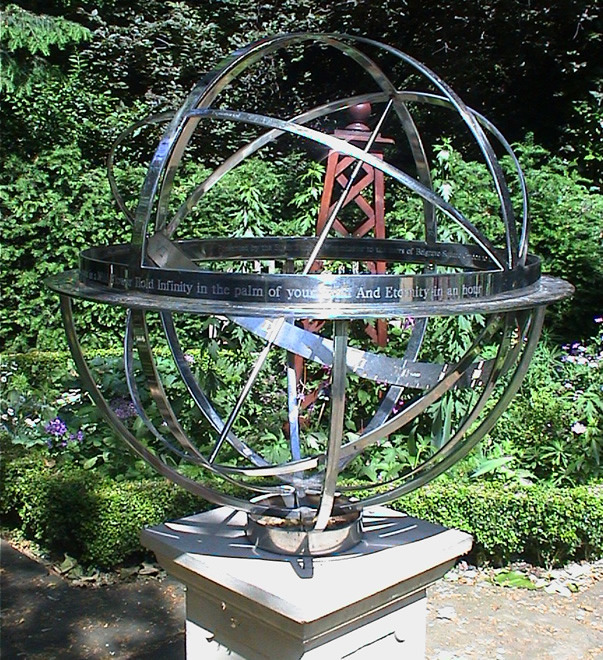 For other armillary spheres see Wolff.